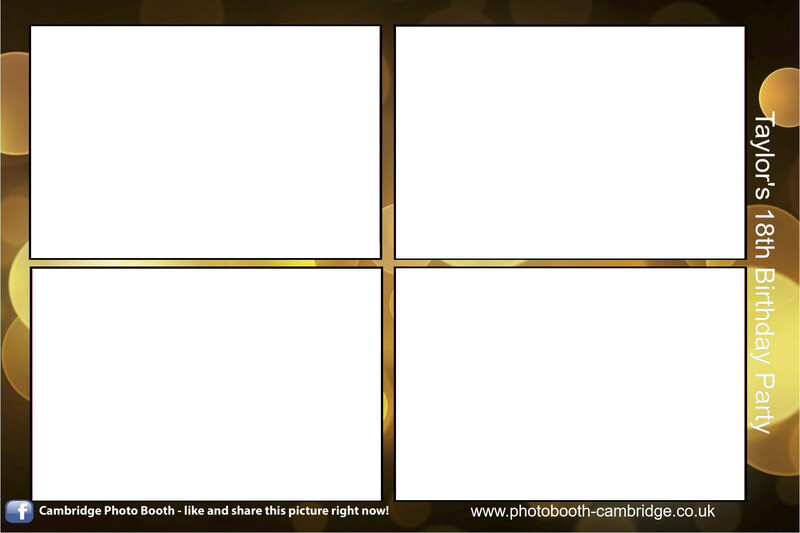 The booth is fully customisable and has a selection of backdrops as well as surrounds. 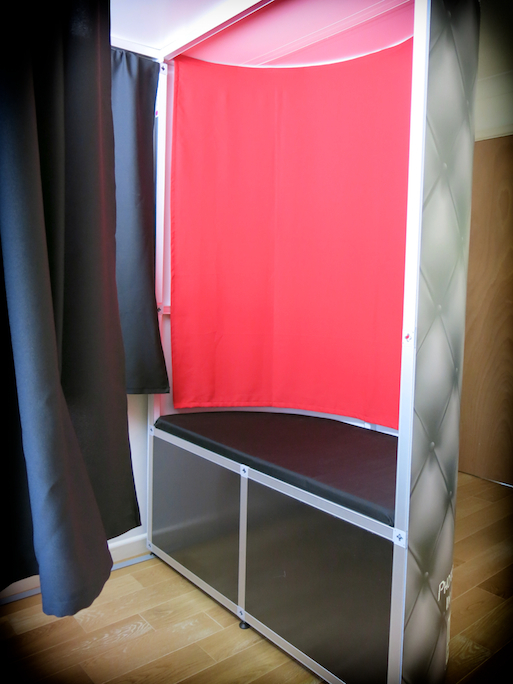 We are the only photo booth company in the area to be able to offer the option to have a seated area for guests to sit, although most of the time, standing works better as more people will fit into the photo booth. Just ask for further details. 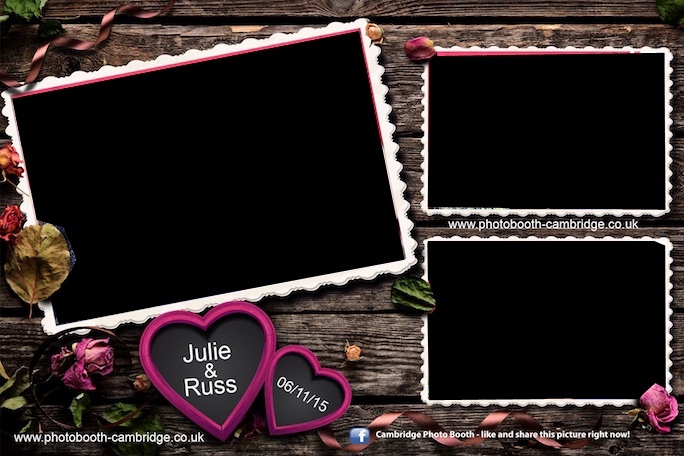 The photo booth is set up to print duplicate images, one for the guests, and the other for the guest book. 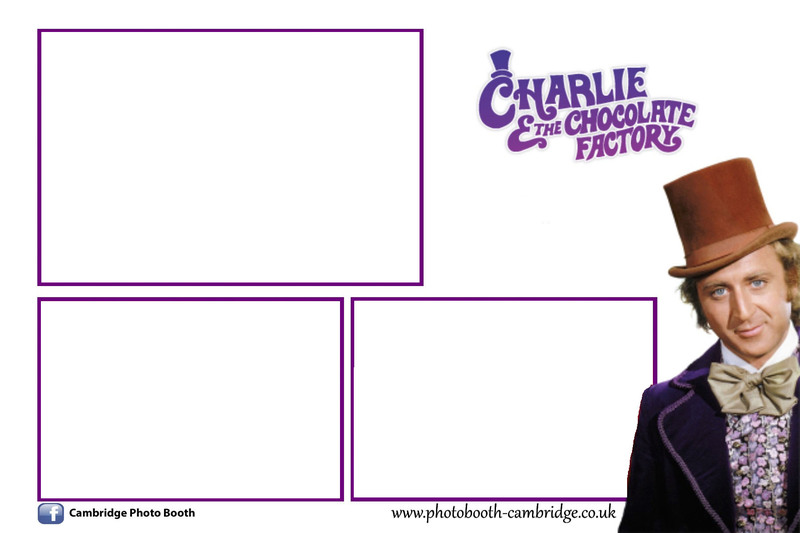 The photo booth attendant will insert the 2nd print into the book and encourage your guests to leave a message next to their photograph. 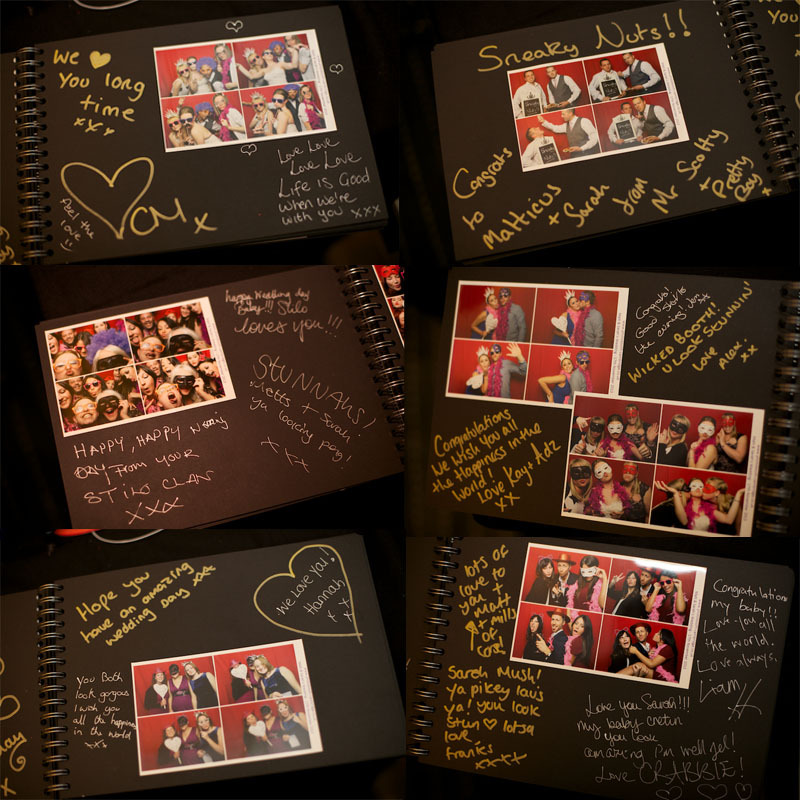 We use black-paged guest books with gold and silver gel pens. 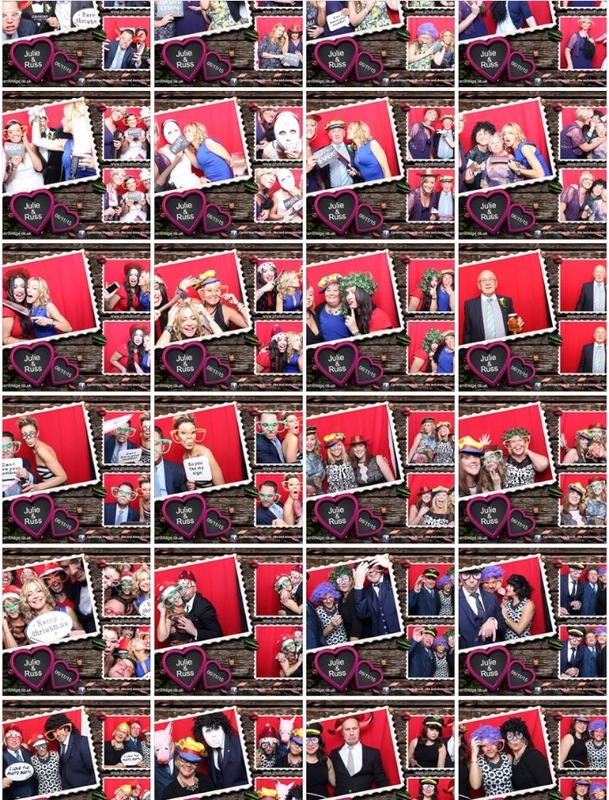 Our state of the art photo booth allows us to instantly upload your photos to our Facebook page so that you and your guests can tag and share the images of themselves. So many times in the past, we see people come out of the booth, get their mobile phones out of their pocket and photograph their print, they then load the image onto their Facebook or twitter. With our booth, they just click share. 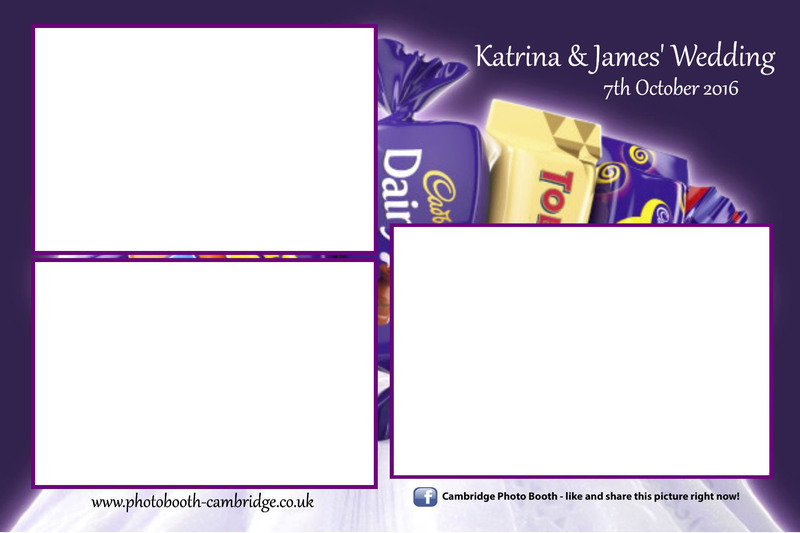 The Facebook upload is optional, please just let us know if you would prefer us not to post them. 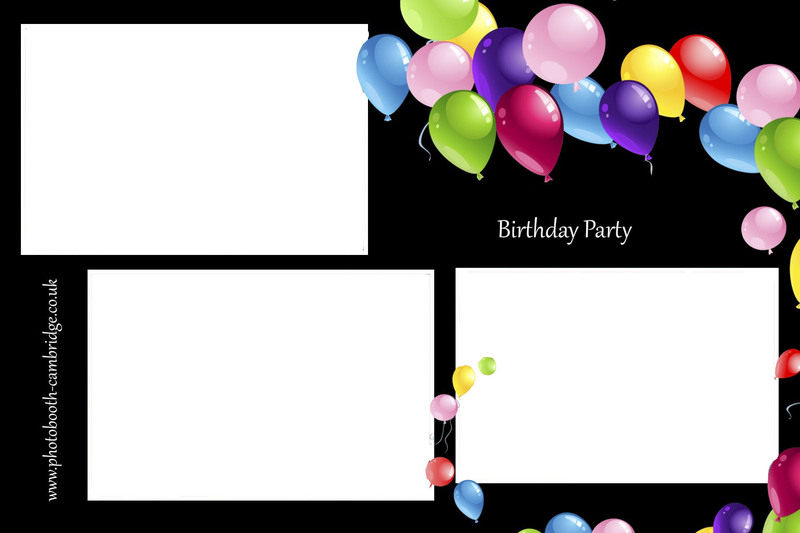 We have many templates, but here are just a few. For each event we make a custom designed temple that the client. 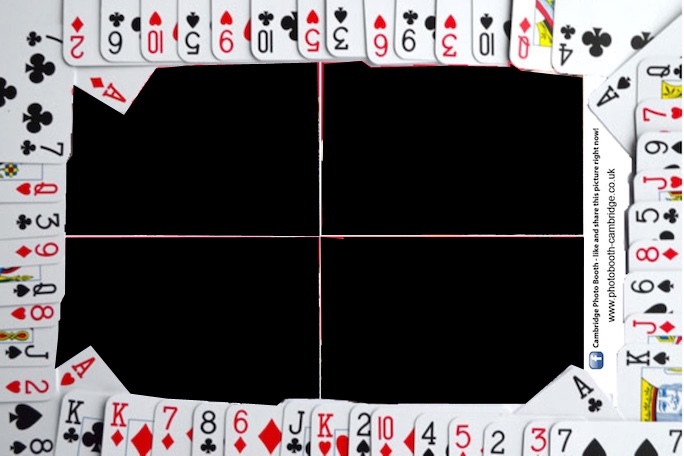 This is best done before the event, if not, we will show you the range on the day of the event and you can choose from our template examples. How many people does the photo booth hold? The photo booth will comfortably hold 6 at a time, any company that says their booth holds 10 people does not actually have a genuine photo booth. Will we also get a copy of the pictures? 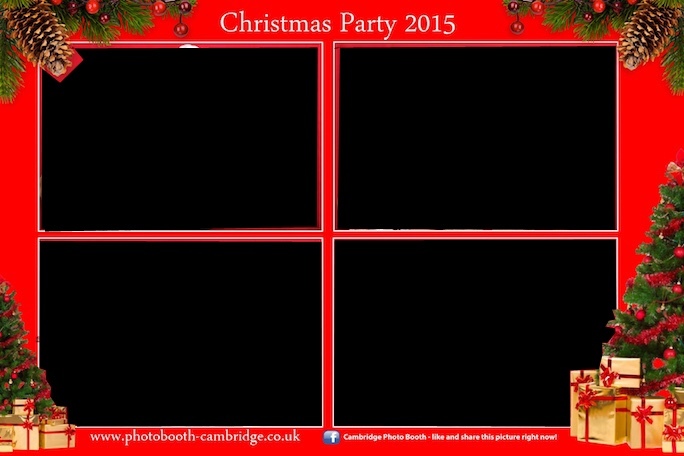 You will get a DVD or USB with all high resolution images taken in the photo booth at the event. How are my photos printed? The photo booth has a built-in, state-of-the-art thermal dye sub printer. The prints are dry within seconds. How long do we wait for prints? 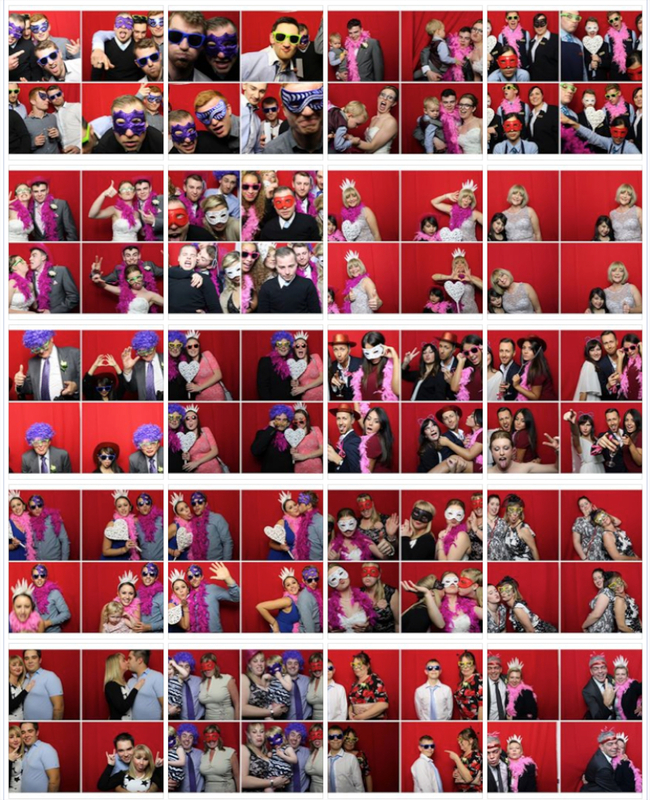 The photo booth prints the pictures instantly. 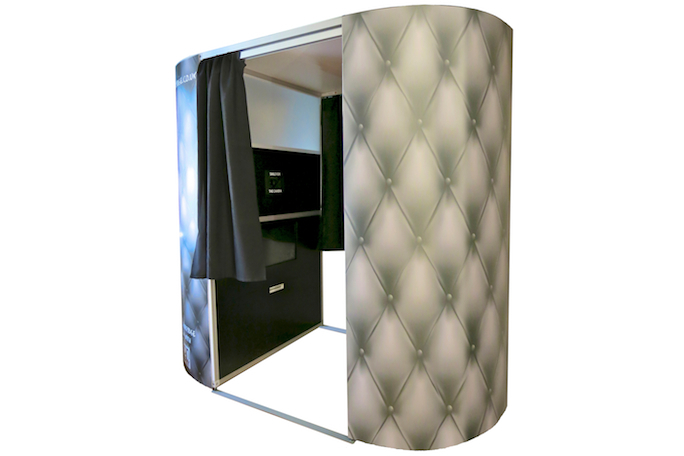 Is it a standing photo booth or is it seated? The photo booth has a seat, but this can be taken out. Does the photo booth come with staff? 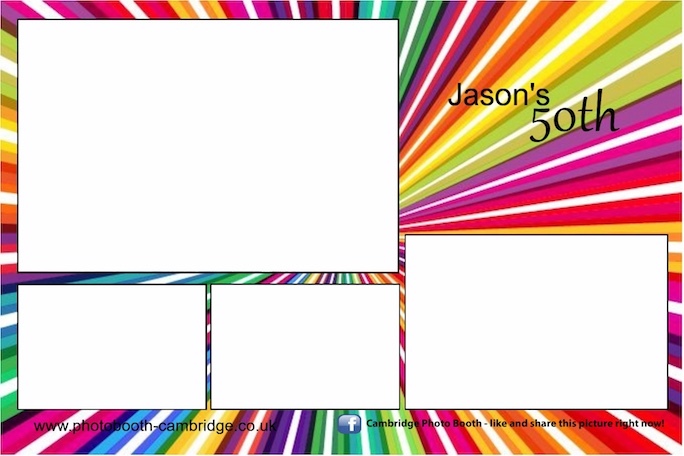 The photo booth will have an attendant with it throughout the event, and he/she will also help with the props. How does the guest book work? 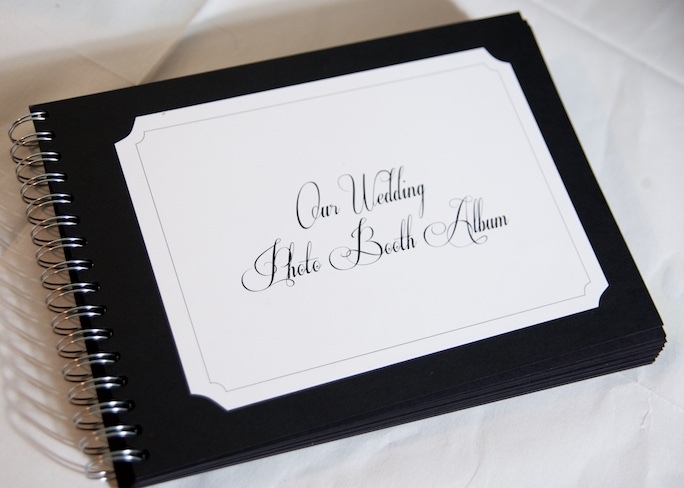 If you choose to have a guest book, then a duplicate set of prints is printed and stuck into a leather album; your guests can then write a message next to their photos, as well as take an image away for themselves. Can the guests view their photos after the event? All photographs will be put onto a password-protected online gallery, where guests can purchase additional copies if they choose. How big is the photo booth? 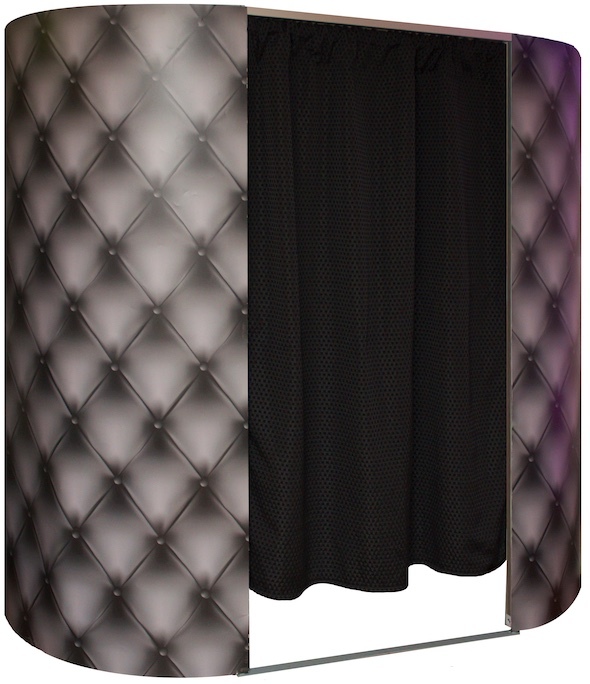 The photo booth is 1.4 m wide, 2.4 m long and 2 m high. 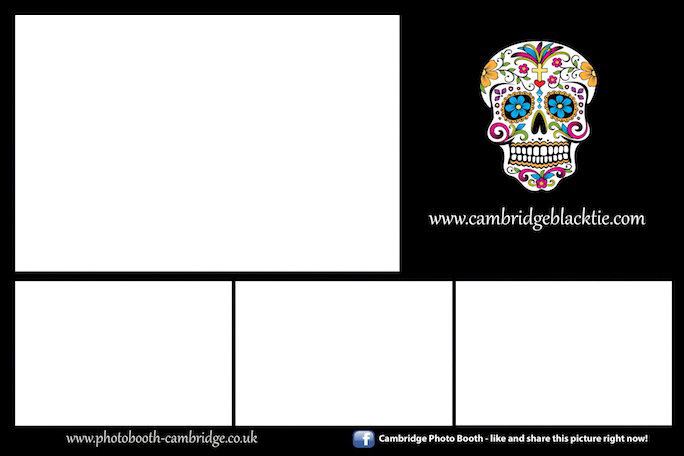 Does the photo booth print in black and white, as well as colour? Yes, you just need to follow the on-screen instructions. Is the photo booth easy to use? Very easy, it has a 22″ touch screen with basic instructions. 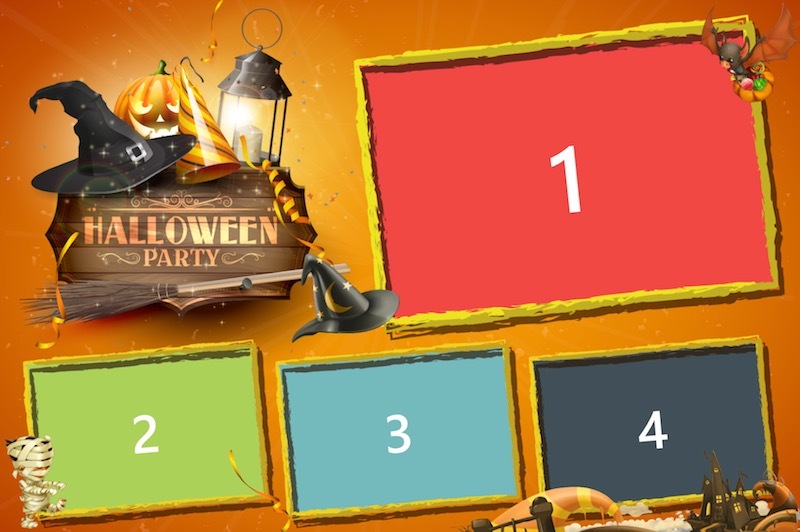 How long does the photo booth take to set up? The photo booth takes around 45 minuets to set up. Do you require a deposit? We require a £100 non-refundable deposit for the photo booth, with the remainder needing to be paid 1 month before the wedding or event.